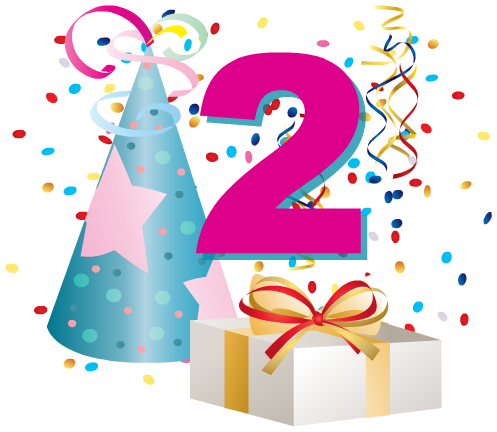 My Blog Turns Two, But Will It Ever Make Three? So why would I consider calling it a day with letterstomykids.org (LTMK) this week? Well, for starters, you’ve now read just about every “letter” I wrote to my children. All through 2008 and 2009, I kept a hand-written journal for Michael and Caroline. Then, two years ago this week, I created LTMK and started posting all 100 or so entries, about 60,000 words, online. So almost everything I originally shared privately with my own kids I’ve now shared publicly right here. In that sense, I’ve largely had my say. My number-two reason has to do with time. Blogging takes time, especially if, as I do, you work for a living. And blogging well demands (and deserves) your best game. Besides, I have other important interests in life, including eating, sleeping and playing pick-up basketball in the playground around the corner. So there was that, too. Then came the issue of whether anyone out there in the universe was paying attention to my humble little blog in the first place. Some days the answer appeared to be decidedly no. Some of my posts might get fewer hits than our apartment building has tenants on our floor alone (about 50). Two years in, my Twitter followers number all of a whopping19. So even though I’m no stranger to rejection – after all, I pitch stories to media on behalf of clients every day for my job, and moonlight writing personal essays no editor ever expects to receive, much less asks to see – I’m only human. Even a blogger needs to feel some love. I’ve also experienced a few discouraging technical difficulties. My overall level of sophistication about the nuts and bolts of playing blogmeister leaves something to be desired. I have yet, for example, to adopt such standard practices as linking regularly to other bloggers, insinuating LTMK onto key blogrolls, and hitching onto Google Analytics. My problem here is that I would rather tinker with words than with widgets. All I really care about, when you get right down to it, is the telling of stories, whether mine or those of my guest columnists. And so, I figured, why blog any more unless I’m willing to commit to blogging right. And yet I’ve decided to keep my blog going. Yes, that’s right. Even in the face of these concerns, plus all the others I’ll leave unmentioned in the name of brevity and decency, I’ll keep tilling this fertile soil, still very much at your service. Tomorrow I’ll explain why I’ve decided to keep it all going, and fill you in on my plans for Year Three.